sam & max fans, anyone? greatest series by telltale and lucasarts (RIP). dunno how many fans are here in this forum, but i'm not into anime. video games, yes. Re: sam & max fans, anyone? There's a Sly Cooper movie in the works. Same for Ratchet and Clank and apparently now Sonic the Hedgehog. 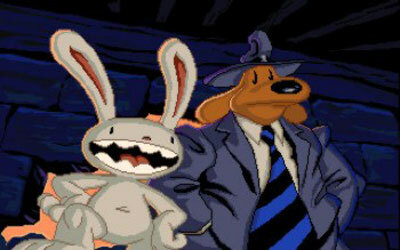 Never got into Sam and Max but I've heard decent things about it. anyone play Sam and Max Hit the Road? i noticed too :/ a few prominent members haven't been around for months, if not a year. Spoider hasn't even logged in in like, 300 days. I'm hoping the upcoming update will at least drag a few people out of their hiding places. i'll try and make an effort to contribute fics, too. *chuckles* Here's a fun challenge: Sabrina or ZigZag (you'd have to read Sabrina Online or something to write for that char) if you wanted to draw one of the 'classic well known' furry fandom character. Would be amusing and easily made adult. i've read the comic, actually. i can do it, i think. Typo. Sorreh. I said 'draw' for something else character related earlier today, as well, when that's not what I meant. My brain is all screwed up from this art update, I think. I've never read it myself, but it was an idea stemming from 'fanworks of something that would naturally have adult content', heh. megacycle's done a story with zig-zag taking an interview, but i wouldn't mind adding my own spin if it's alright. i already started on it, lol. sabrina wants to go home, but zig-zag's discovered the sneeze fetish and wants to experiment on poor sabrina. i hope i don't get too much attention for this... hilarity ensues and a lot of breast groping. *Laughs* Too much attention? No one knows anything about you! ;3 You're one of our website's classic enigmas. i guess to kinda avoid derailing the thread-- i'll post some sam and max clips! Sam and Max 90's Cartoon Intro.